Today I’m giving away a copy of the new book Desserts in Jars. I’m also sharing details that will be really exciting to anyone who wants to write a cookbook. So, do you want to write a cookbook? But I also know that I’m not ready yet. You see, over the past couple of years I’ve had the chance to go conferences where I’ve heard editors, publishers, agents and authors speak about the process. It’s a really really really big deal. One of the speakers I heard even likened writing a cookbook to having a child. Not to going through labor, but going through the nine months of pregnancy, the labor, the birth and then the raising of the little babe through to toddlerhood. Well, I’m in the midst of actually raising young children right now and I know that I can’t have another child (even a paper one) right now. And I bet you can too. If you’ve ever thought that you’d like to write a cookbook the best thing you can do right now, as far as I can tell, is fortify yourself with information. That’s why I’m involved in a giveaway that could help you write your own cookbook. The giveaway is for a ticket to the International Association of Culinary Arts annual conference in Chicago in 2014 plus $500 towards accommodations while there AND a meeting with a cookbook editor to talk about your cookbook idea. If you’ve ever thought that you’d like to write a cookbook, this is your chance to find out everything you need to know, to form a plan and to get some honest feedback on your ideas. Click here to enter the giveaway for the IACP ticket, accommodations and meeting with an editor. 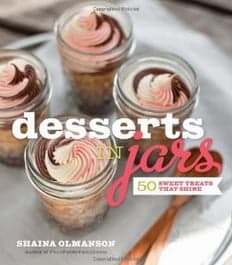 This giveaway is sponsored by The Harvard Common Press as part of their promotion of the new Desserts in Jars cookbook by Shaina Olmanson. I have a copy of that very beautiful book to giveaway for you today. This book really is special. 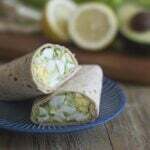 It has a defined niche, well-developed recipes, good writing and scrumptious pictures. Everything we future cookbook authors imagine our books will be. So do enter to win the cookbook below. I hope it inspires you. And also, click here to enter to win the future cookbook author’s dream prize. One more thing to mention, in honor of Desserts in Jars, we’re having a fun PinChatLive event on Sunday August 18th at 8pm Eastern on this Pinterest board. 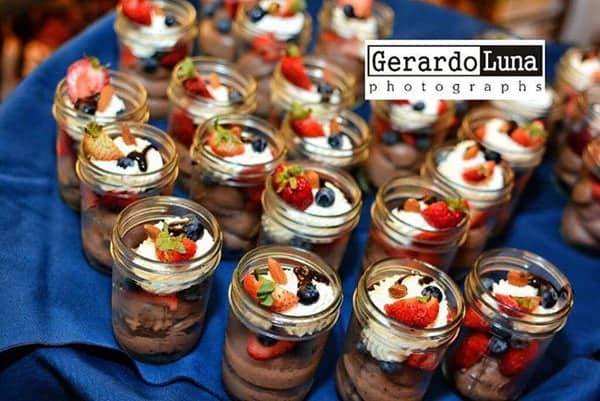 Get all the information about what a PinChatLive is and about the Desserts in Jars event here. Plan to join us to find out about all kinds of desserts served and made in jars and to be inspired by this wonderful book. This is a great idea. Need to check out this cookbook. I’m sure you’ll have a book! Yolanda, Thank you so much. I really would love to have a cookbook one day. A bit of a dream really. I love serving drinks in jars. I’m into mixed drinks right now, with sugared rims and fun, striped paper straws! The fruitier the better! I love cheesecakes in jars! 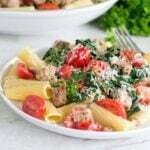 So fun for dinner parties! All I have done so far is jam! I’d love to expand my options! If we are taking the grand kids out to the lake, I put everything into jars. It makes for easy cleanup when we get home. I love the salads with every ones own dressing, and chili with a cornbread crust is a big hit. The only thing I’ve ever had in a jar is chocolate cake – it was fun and delicious . . . I look forward to making more desserts in jars. Not really a recipe, but I put my Mueseli cereal in in with milk, makes it easy to take with me, same with yogurt parfaits. Karen, That is such a great idea! I might do that for my own breakfasts. It would be perfect for grab n go mornings. Thanks, it also helps me with portion control and eating better. I use the small jars, and make sure to grab fruit to eat with it. I want to do drinks in mason jars sometime soon! Rebecca, I love drinks in mason jars. They’re somehow very old fashioned but also cool and trendy. And just plain fun! I’m so with you there! I can’t wait to start trying all kinds of things in jars. I like to serve a layered dessert or salad in jars! My mom really wants to write a cookbook and has a great idea. Thanks for the fun giveaway. I’m so intrigued about what your mom’s idea might be. Good luck winning the contest, to both of you! I don’t have any favorite jar recipes yet… I’ll let you know after I win your cookbook! Good luck! I hope you do win so you can try some out. What a great gievaway! I’ve always daydreamed about my own cookbook- getting to work on a pinboard this minute. Yay! I’ve had that dream too. 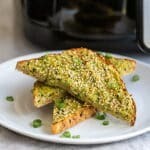 I wish you luck in the contest and with your cookbook dream. It is attainable. You food is fantastic!